Ever since we had the little one in the tummy, we've been educating the little one outside the tummy on this thing called 'baby'. So we showed her YouTube videos on how baby is formed and she loves it! She says sperm out loud and keeps on saying "Baby in the worm! (womb)". 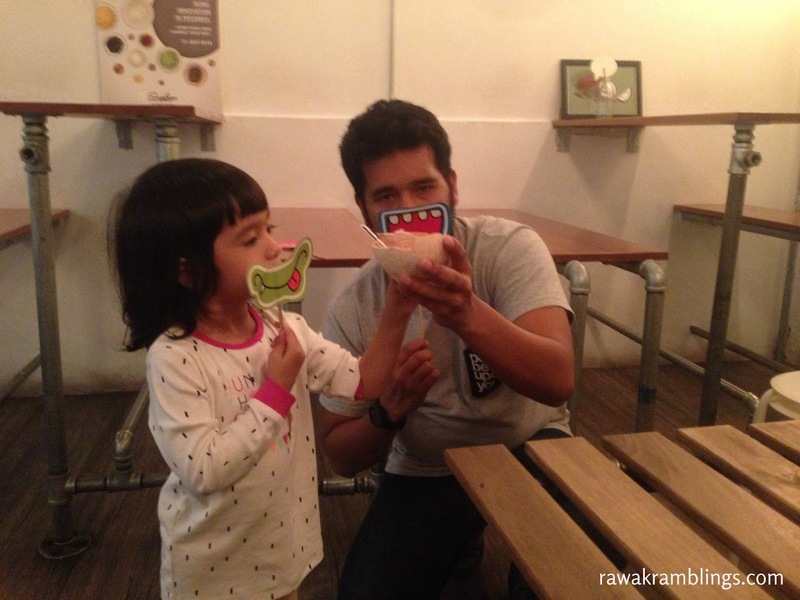 Mr. sometimes jokes with her and say "Aisya, you were once a sperm too," and she would say "No! Aisya big girl! You sperm ayah!" Lol. When we brought her to the doctor, her second visit recently, she was excited. She wanted to look at the screen and so did her daddy and so they both argued to give each other a chance to see 'baby in the worm'. "Ayah, Aisya tak nampak...." "Aisya, ayah tak nampak lah..my turn pulak...."
"Mummy, baby dah nak keluar ke?" "Not yet Aisya, only when Mummy's tummy gets bigger and bigger, ok?" One morning, she wakes up and say, "Good morning Mummy! Good morning Baby!" and then kisses my tummy. Sometimes when I get a litttle bit nausea, she would say, "Mummy, mummy ok ke? Mummy nak muntah ke?" and runs away to grab a towel to pass to me. She will then pat my back a few times, asking me repeatedly if I'm okay. Once, she grabbed some baby toys and put them on my tummy and said, "Mummy, this toy is for baby ok?" Yesterday morning, I said "Good morning Aisya!" and she replied "No, I'm Kakak Aisya la,"
I'm not too sure who taught her that but it looks like this 2 years old girl is ready to be a kakak already! When will I finish this book? Yesterday morning, I was looking at the sticker mark in my Quran and wondered, "Why is it taking such a long time for me to finish this? Such a slow-mo. Mr is already finishing his second round,"
And then I told myself, "I'm gonna make sure I khatam this before the little one comes out!,"
There you go - such a random semangat. Semoga semangat berterusan. It's the Diwali celebration today and as usual in Malaysia, every celebration comes with annoying fireworks at night. "Apa tu, mummy? Terkejut Aisya,"
"Come let me show you," and so I showed her videos on fireworks on youtube. And then I continued on reading my bedtime book. While she was turning her back here and there, looking for the right sleeping position. And so I hugged her and a few minutes later, she dozed off to sleep, together with the fireworks blasting off every other minute in the background. Ironically, putting her to sleep during the noisy nights seems to be easier than any other peaceful night.